Siblings Violet and Michael have lived their whole lives unrecognised by the South African government. Their mother is Mozambican and their South African father is deceased. Their father was granted South African citizenship through the process of naturalisation. Three years ago, their mother approached the Messina legal advice centre for assistance. The Director, Jacob Matakanye and his colleague Crystal Baloyi have worked closely on this case. Violet and Michael’s case has not made much head way with Home Affairs and Matakanye is now seeking the intervention of a pro bono lawyer or the services of a law clinic. Matakanye says that “there’s a lot of problems concerning citizenship especially in Musnia because it is a border town”, he explains that the South African government has great difficulty in awarding citizenship to children born out of wedlock where one parent is South African and one is a foreign national and that has caused a prevalent of stateless people in Musina. In the case of Violet and Michael, their father was a citizen by naturalisation at the time of their birth and their mother was not documented. 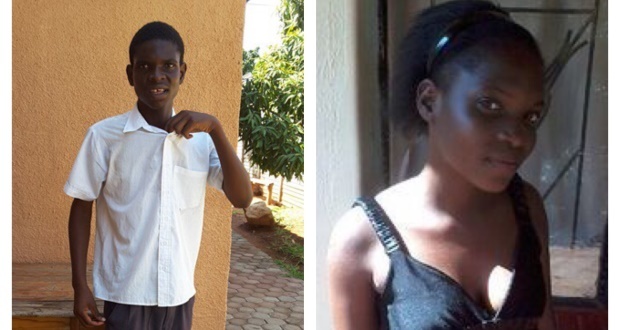 People like Violet and Michael are without birth certificates and Identity documents. Life in South Africa and any country is unbearable, even basic human rights are often unenforceable to stateless people. They face countless discrimination and marginalisation. Their lack of documentation often leads to the inability to accesses basic services, to be employed or to receive an education. For the two siblings, receiving an education has been a relentless struggle and accessing their matric results will prove difficult without an ID number. As they grow older, they will face the risk of repeated arrests with prolonged detention, one of the many atrocities that are experienced by stateless people. Even the dignity of an official burial and death certificate will be denied. Their father’s passing has proved devastating for their lives in all aspects. Without their father, the two children have been denied South African citizenship and a legal identity. The South African law around statelessness is not developed, there is a lack of legislation on statelessness and how to deal with it, these are some of the biggest problems facing South Africa. All children born in South Africa must be registered within 30 days of their birth in terms of the Births and Deaths Registration Act of 1992. If it is not done soon after birth, it becomes harder to register them as they grow older because the process of verification becomes more complicated especially when one or both parents are deceased. Registering the birth is a way of legally acknowledging your children. The story of Violet and Michael was brought to the attention of The Citizen Justice Network by the Messina Legal advice centre. CJN investigates unreported crimes and miscarriages of justice in South Africa. CJN trains local paralegals to produce radio reports about legal issues in their communities and broadcast their stories on local community radio stations and on-line. Listen to Jacob Matakanye on Musina FM. He is discussing the issue of statelessness in Musina. The border town is occupied by many foreign nationals who come to South Africa for better work prospects. Often they have difficulty in acquiring the necessary documentation to be able to live freely in South Africa.